Dr Tan is a Senior Lecturer in Finance at the UQ Business School. Dr Tan has earned a reputation as a researcher with an expertise in capital structure and econometrics. His work has been published in leading academic and practitioner journals, such as Journal of Corporate Finance and Journal of Financial Intermediation. Two of his papers have also been recognised as the Best Papers at both the European Real Estate Society Conference and the 6th Behavioural Finance Conference. In addition, he was recently awarded the 2016 Early Career Researcher Excellence in Research Award by the UQ Faculty of Business, Economics and Law, and the 2017 Award for Excellence in Research by the UQ Business School. Dr Tan teaches FINM3403 International Financial Management and FINM7402 Corporate Finance at UQ Business School, and was recently awarded the Award for Excellence in Undergraduate Teaching in 2013 and the Commendation for Postgraduate Teaching in 2017. Besides being an inspiring teaching instructor, Dr Tan is also a great research mentor for junior faculty and Ph.D. students. Dr Tan is particularly proud of all of his Ph.D. students, because all of them had the first chapter of their theses published in an A* journal (ABDC ranked) and received a research award before their Ph.D. graduation. In terms of service and engagement within the UQ Business School (UQBS), Dr Tan is a Postgraduate Coordinator for the finance Ph.D. program. Dr Tan also sits on the UQBS Research Committee. Outside UQBS, Dr Tan serves as a Vice President (membership) and a board member for the Asian Finance Association, which is one of the top finance associations in Asia. 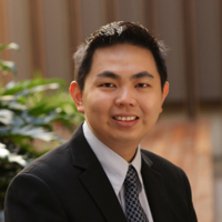 Dr Tan also serves as an Associate Editor at the Accounting Research Journal. His research interests focus on corporate finance, capital structure and labor economics. Dr Tan's work has had a substantial impact beyond academic philosophy through media and the finance industry. For instance, his 2016 ‘A*’ publication in the Journal of Corporate Finance attracted some media attention. It was covered in the London School of Economics (LSE) Business Review (UK) on 3 February 2016 with the following headline: “Overconfident CEOs Prefer Short-term Debt”. My work also has had an impact on the finance industry. For example, in conjunction with the Finance and Treasury Association in Australia (FTA), he conducted a survey of CFOs’ corporate capital structure decisions in Australia and New Zealand. This project has produced not only an ‘A’ journal publication but also a practitioner report that was distributed to the FTA’s members, who typically hold senior finance positions. Furthermore, the findings from the survey were the subject of a panel discussion at the 2014 FTA Congress. As a result of this project, the FTA’s members can benchmark their treasury performance and corporate decisions to their peers and improve their current practices. Can business shocks explain the failure of empircal tests of capital structure theories? Kelvin Jui Keng Tan (2011). Corporate Debt Maturity PhD Thesis, UQ Business School, The University of Queensland. An empirical examination of corporate capital structure in Australia / Kelvin Jui Keng Tan. Tan, Kelvin Jui Keng. (2006). An empirical examination of corporate capital structure in Australia / Kelvin Jui Keng Tan. Honours Thesis, School of Business, The University of Queensland. What drives the firm's heterogeneous speed of adjustment toward an optimal capital structure?